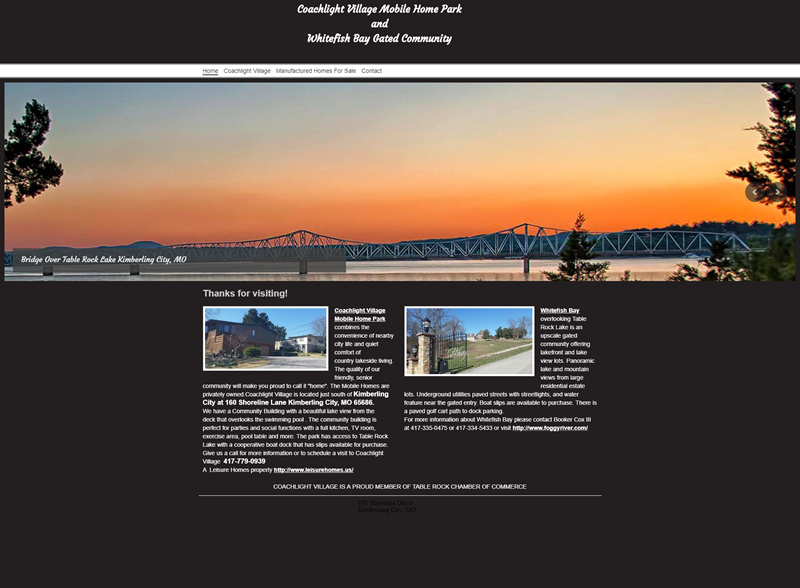 The new website for Coachlight Village provides an overall easy user experience and professional web design. The navigation menu at the top is clean and takes users to specific and helpful pages. 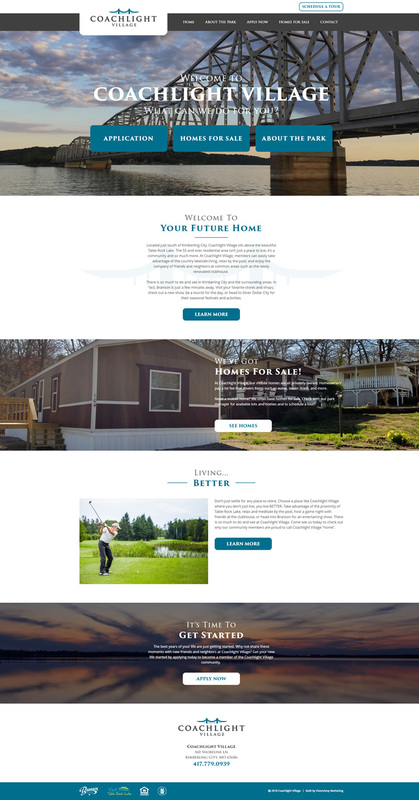 The mobile-friendly and responsive website also includes more content to help answer questions and provide more information about what Coachlight Village can offer. Coachlight Village Mobile Home Park is for adults 55 and over. It combines the convenience of nearby city life with the quiet comfort of country lakeside living. Located just south of Kimberling City, the quality of our friendly community will make you proud to call Coachlight Village "home".